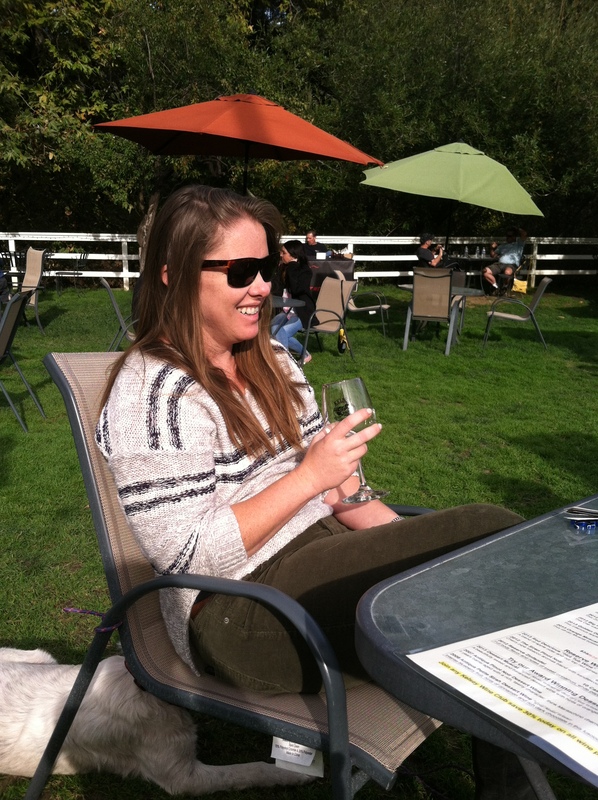 I’ve visited San Luis Obispo many, many times over the years. I’ve become familiar enough with the town that I can find my way around sans Google Maps. I have a list of “must-sees” and “must-dos,” but there’s still countless new places to explore. 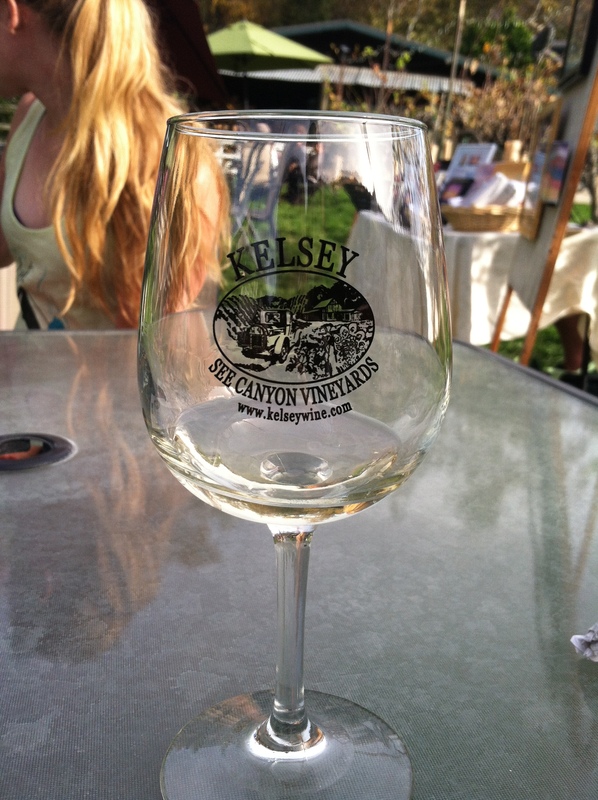 This last trip, my girlfriends took me to the family-run winery, Kelsey See Canyon Vineyards. I’ve been to a few vineyards, but none quite like this one. It’s a bit out-of-the-way, found down a winding tree-lined road, and so refreshingly laid back. There’s zero pretension here. 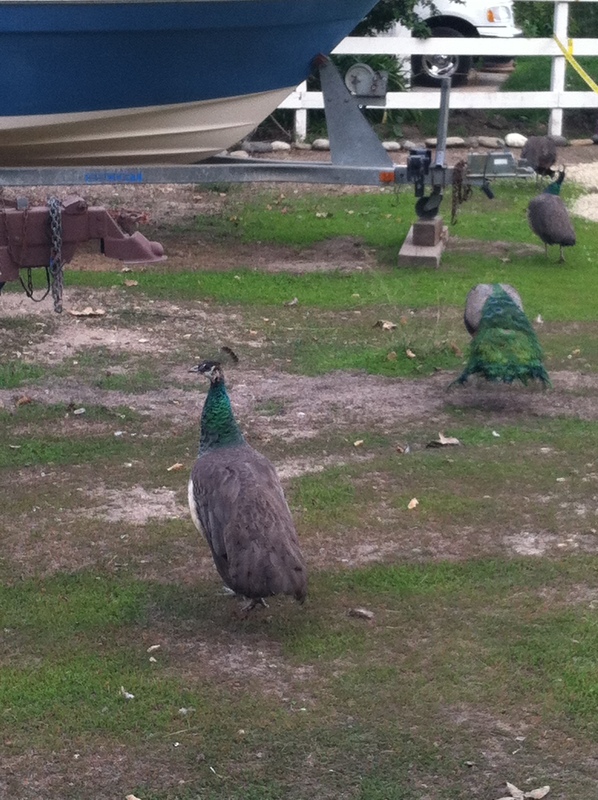 The Kelsey family (and their dog, Tessa) can often be found lounging around the backyard tasting area, which also happens to be surrounded by peacocks. 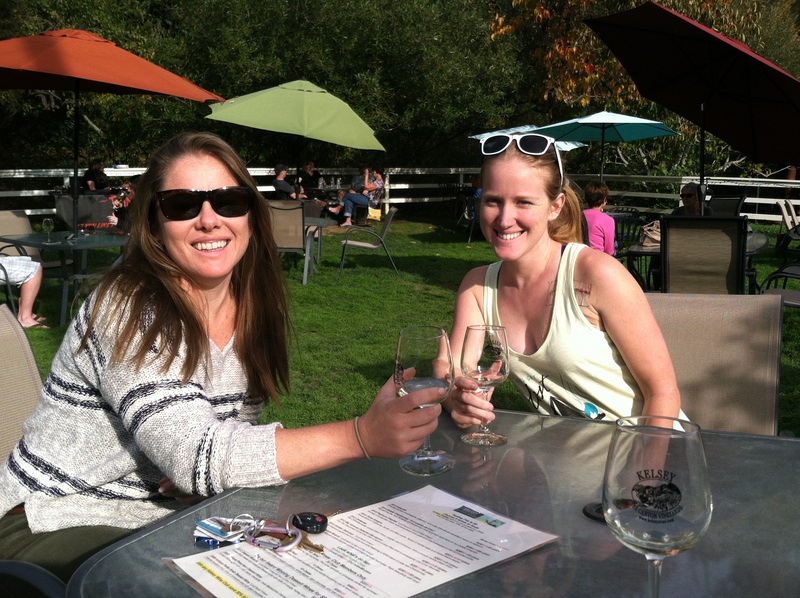 In the tasting room proper, you’ll find local artist Colleen Gnos’s mermaid-filled artwork. Jeb accompanied us, and was thrilled to have so many people pay attention to him. He’s great at making new friends, I must say. In a fit of enthusiasm (probably helped by all that wine I drank), I left the winery with three bottles of wine. They had a Black Friday special going on, after all. Later that same evening, a group of us went out to dinner at the famous Taco Temple in Morro Bay, which is about a 10 mile drive from SLO. 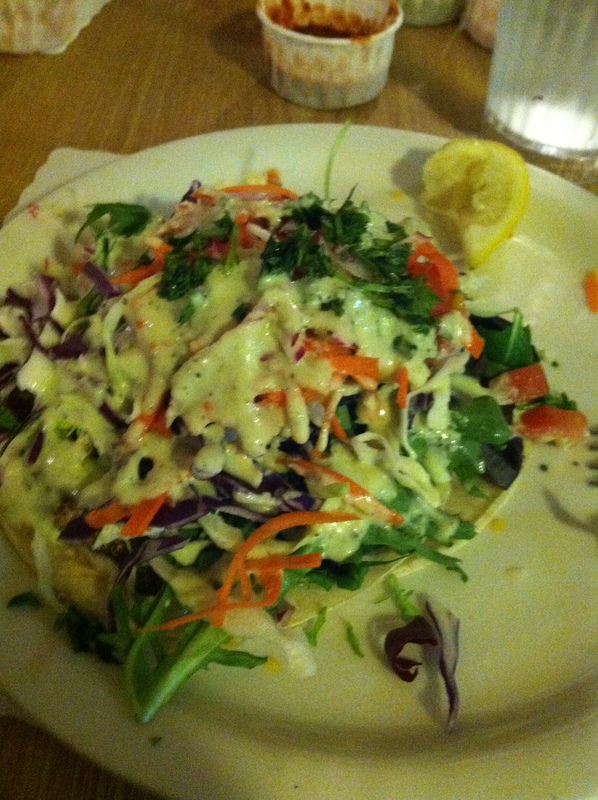 What appears to be a salad pictured above, is in fact a single fish taco. 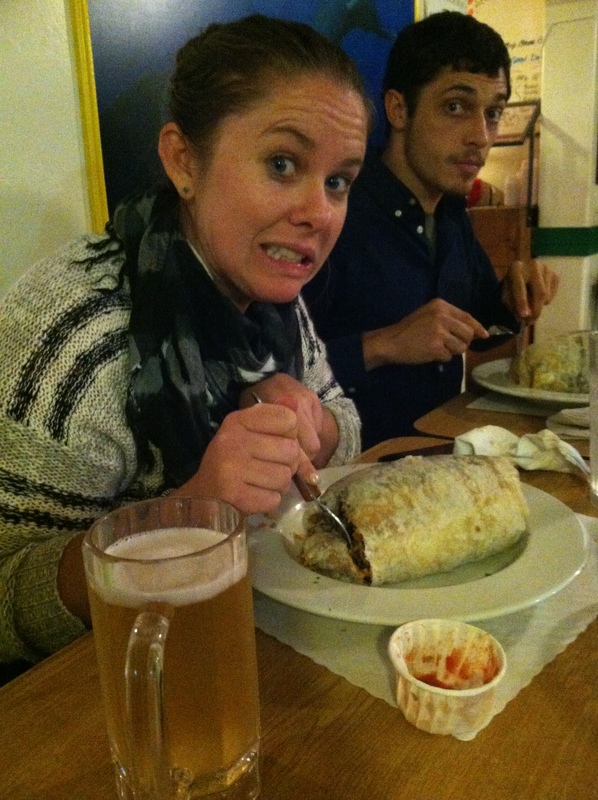 They also featured absolutely HUGE $8 burritos. Don’t try picking it up- a fork and knife is definitely needed. 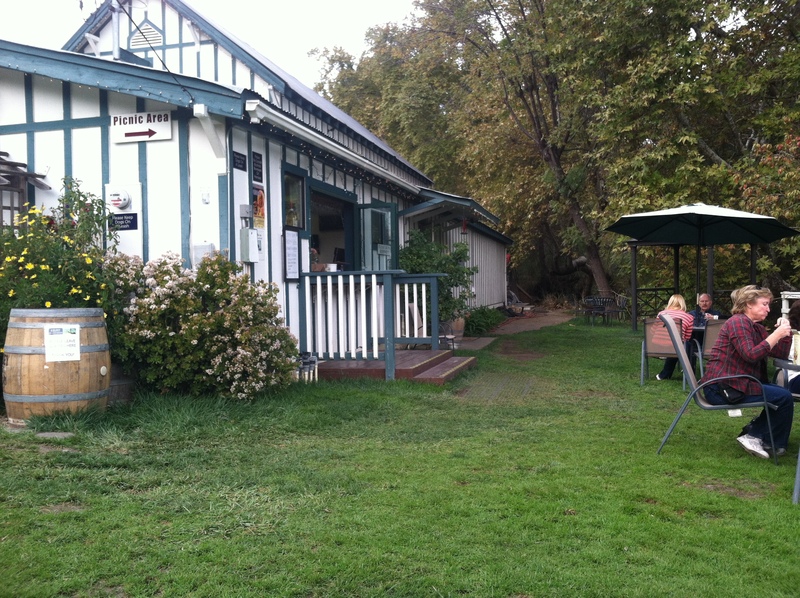 Unfortunately for me, I manage to encounter a new favorite place with every trip to SLO. The only way I can make my way through my whole “to-do” list now is that I stay longer and longer each time I visit. Sounds like a plan, right? Stayed tuned for tomorrow’s SLO Town: Old Favorites.